On July 13th 2010 I had my first official camp friend come and visit me and stay with me and allow me to show her around my country. 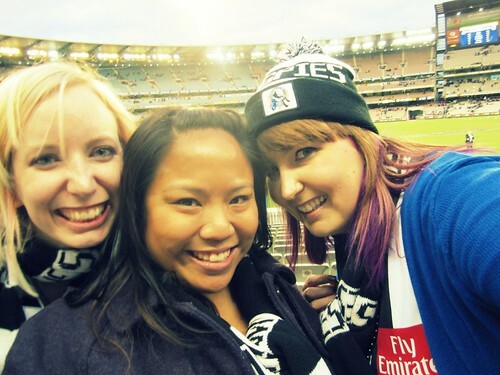 I've had some camp friends get in contact with me on their travels through Melbourne but they've never come to Australia purely to hang out with me - until now. My lovely friend Laura (who shall henceforth be known as Storm - because that's what we call her) travelled all the way from California to join me and my friends on a little adventure. It's not unusual that she's done this - we had her meet us in London in '07 for a 3 month trip and we spent a week with her last year in her home town on our USA adventure. We're travel buddies and are already planning for another journey. 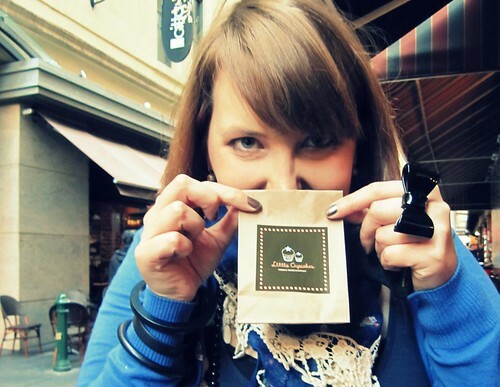 Here's a photo journey that gives you an idea of what we got up to for the first week. 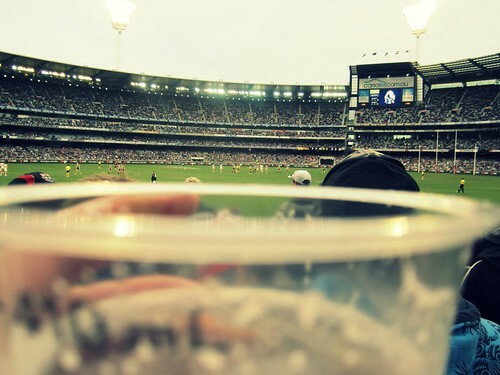 We took Storm to an AFL match where we drank a lot of beer, ate meat pies and watched the mighty Collingwood thrash the pants of St Kilda. On my b'day we headed to the ACMI in Melbourne to check out the new Tim Burton Exhibition. 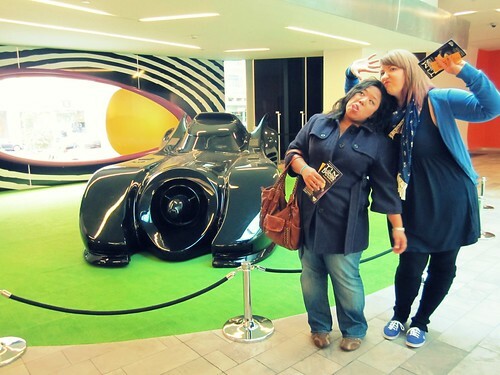 We couldn't take photos inside the exhibition but I got a bit too excited by the bat-mobile! This exhibition took my breath away - being a Tim Burton fan I was in nerd heaven! 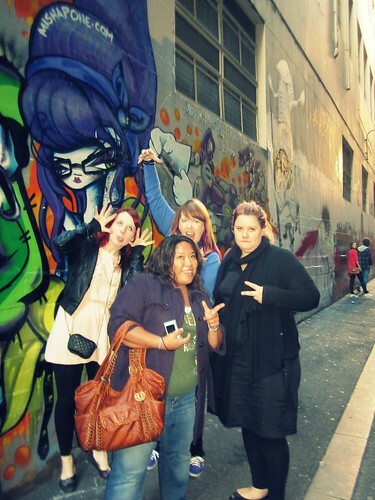 We also wandered the alleyways of Melbourne and took silly photos while trying to find a cupcake shop. I got a mini red velvet (!) cupcake. 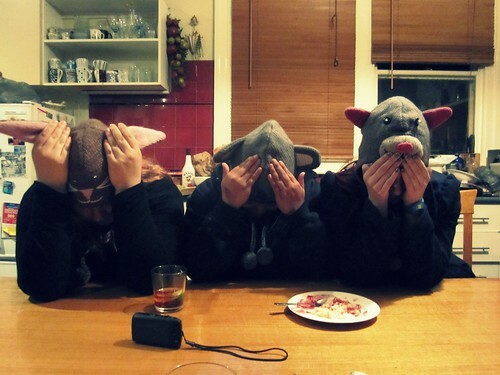 Other things we got up to: pizza pirate parties complete with flashback movies (Don't Tell Mum The Babysitters Dead), Summer Heights High marathons, pavlova and pasta nights, drinks by the Yarra River, failed attempts to get a taxi to take us out - resulting in geeking out on Star Trek, dinner parties with my family which include Kyla (my niece) proclaiming that she "loves Stormy", lots of Nandos (because apparently they don't have it in the USA) and somehow managing to have a Twilight marathon without trying (it's becoming a tradition). Week 2 will be coming soon - I'll post it this week, it's just I didn't want to overload with the photos. I had over a thousand to chose from!